Truffle Boy: My Unexpected Journey Through the Exotic Food Underground, by Ian Purkayastha and Kevin West is out Feb. 7. Ian Purkayastha has already done more in his 24 years than most do in twice that time. From his first taste of truffles as a teen, he’s turned a love of the elusive fungus into a multi-million dollar business that boasts some of New York City’s top chefs as clients, and recently found himself listed on Forbes’ “30 under 30”, clocking in at the year’s youngest awardee. So what does one do, with all of that truffle hunting, business acumen and a few truffle-heavy recipes? Write a book, of course. Out next month, Ian tells his story in funny, thoughtful, and occasionally downright incredible anecdotes. Read on for an excerpt from Truffle Boy: My Unexpected Journey Through the Exotic Food Underground, by Ian Purkayastha and Kevin West is out Feb. 7 from Hachette Books. The Kingpin was a truffle dealer, and he controlled a large share of the Serbian truffle business. It was impossible to say exactly what share, because according to official statistics, Serbia exports exactly zero truffles. Most Italian truffle companies say that they import exactly zero truffles from Eastern Europe. The two sets of lies fit together perfectly. The white truffle, Tuber magnatum, is often called the Italian truffle, and a lot of chefs refer to it as the Alba truffle after the town in the Piedmont region of northern Italy. If you go to Alba in November, what you’ll find is a hilly landscape of vineyards and woods wreathed in the fog—nebbia in Italian—that gives the local Nebbiolo grape its name. Alba itself is a medieval stone village with bell towers and cobblestone streets, and from mid-September through December, rich tourists flock there to eat truffles at the annual Fiera Internazionale del Tartufo Bianco d’Alba, started in 1930. Shops on every corner advertise Prodotti tradizionale—truffles and truffled products. You can literally smell truffles in the air. The truffle dealer’s display is starker than the other stalls. His table is covered with clean white butcher paper and the truffles are laid out in rows like gemstones, each one covered by a clear plastic dome. The dealer also has a digital scale and a box of sandy, golden soil that has been sifted until it is finer than sugar. The soil comes from a special quarry nearby and is used to store truffles, supposedly maintaining optimal humidity for the trip home. 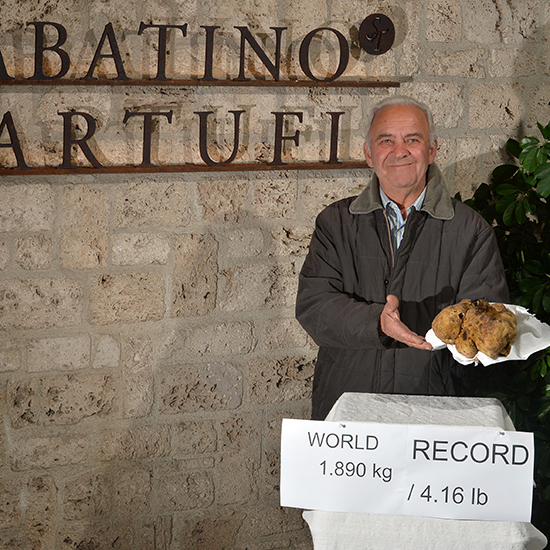 More than anything it’s Italian showmanship: You take home your truffle in a bag of Alba soil. The dealer’s handwritten sign reads tartufi Bianchi nostr ani: di nostr a r accolta (“Our white truffles: from our harvest”). Ask him where his truffles are from, and he will say “Alba.” When the Alba truffle dealer says that his truffles are from Alba, it’s like a Roman art historian saying that the Sistine Chapel is in Rome. He says it with pride that stretches back centuries. The difference is that the truffle dealer is probably lying. 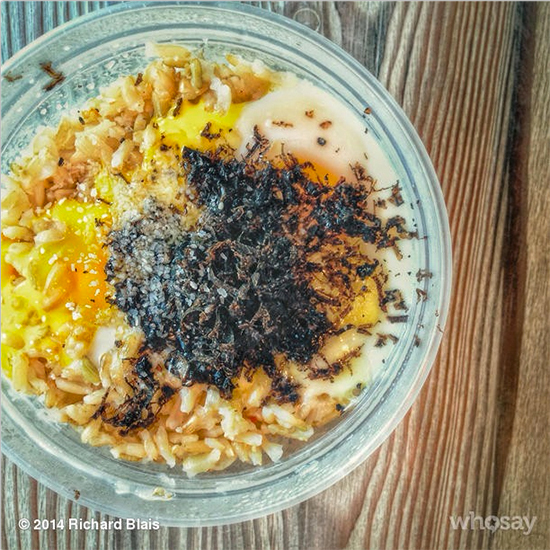 Some of his “Alba” truffles—maybe even many or most of them—probably came from Eastern Europe. I had first found out about the truffle pipeline between Eastern Europe and Italy when I went to Hungary with my dad. A year later, the Kingpin cold-called me and introduced himself as a truffle supplier with access to top-quality Eastern European product. Most calls from people wanting to sell me truffles are a waste of time. But something about the Kingpin intrigued me. He was up-front about where his truffles came from, and he clearly knew the American market. He was looking for a New York distributor to partner with, and he chose Regalis because his cousin had bought truffles from me the year before. I listened to his pitch and asked a few questions before deciding to place a small order. When the truffles arrived, they were excellent. But when I took them out to my accounts, the chefs weren’t at all interested—only because they were from Serbia. They barely looked at them. I explained about the pipeline and told the chefs they had probably already bought Serbian truffles from other dealers without realizing it. The fact that they didn’t know proved that Serbian truffles were just as good as Italian ones. No one listened. To them, it was like comparing Yugos to Maseratis. In the Balkans, white truffles are found from Hungary to Greece, and Bel- grade is at the same latitude as Alba. Serbia is prime truffle territory. What is different is that Italy has the romance of truffle festivals, and the Balkans have a history of war. When Yugoslavia broke up after the fall of the Soviet empire, its former capital of Sarajevo endured the longest military siege in modern history, and Slobodan Milosevic led an ethnic-cleansing campaign against Bosnian Muslims. Postwar, the region reorganized as the independent states of Bosnia and Herzegovina, Croatia, Macedonia, Montenegro, Serbia, and Slovenia. Even today the legacy of war remains present. In Bosnia and Herzegovina, rural residents have been killed by landmines when they go into the woods to forage for mushrooms. All that aside, the Kingpin’s Serbian truffles were legit, and I wanted to learn more. I knew by then that [he’d] been born in Kosovo and now lived on the West Coast, where he worked in the petroleum industry. He operated his truffle business remotely through a network of lieutenants in Serbia—all the Kingpin’s men. When he invited me to visit the operation, he said he could personally guarantee my safety and promised to meet me in Belgrade. “For me it’s an adventure,” [he said.] “I have truffle fever. I am incurably infected by the virus.” Truffles were the Kingpin’s passion, and he was an expert on the terroir of Eastern Europe’s subregions. “By now I can pinpoint that one truffle comes from this region and another one comes from that region,” he said. His personal favorites were Serbian truffles for their aroma, but they tend to be darker and knobby because of the country’s oak forests and heavy soil. Croatia’s sandier soil produced rounder but less fragrant truffles. In Romania, the surface soil is sandy, but a foot down there is a thick clay layer. The truffles grow so close to the surface you can sometimes see them, and they look beautiful, round and yellow. But they never mature in the shallow soil, and their aroma is weaker than a Yukon Gold potato. The Italian solution is to sprinkle them with synthetic truffle aroma. The Kingpin proposed that I join him one year for a trip from Trieste to Greece, an eight-hundred-mile journey that would demonstrate the quality and diversity of Eastern European truffles. “It’s not a good business or pride, to be honest,” he began. “Ian, to try to answer your question, most of the people in Serbia don’t know there are truffles here…” And if they did, he added, all they cared about was selling them for money. In fact, the Kingpin saw truffle hunting as a key indicator of Serbia’s bad economy. The local unemployment rate was 45 percent. Why else, he asked, would people hunt truffles? It demands long hours in the woods for an uncertain payout. A few times a year, some lucky hunter might dig out a giant truffle that would make him rich, but most days a hunter would be lucky to find fifty euros worth. Why bother? What’s riskier still is that essentially all of Serbia’s truffle woods are on restricted government land, including where Milos had taken me that morning. The entire industry relied on trespassing and poaching, so there’s no legal means for a hunter to claim his territory, which leads to confrontations and further lawlessness. Hunters will sometimes scatter poisoned meat to kill a competitor’s truffle dogs. The previous week, two hunters shot each other in a nearby forest. I asked the Kingpin if the government made any attempt at all to manage the harvest. Not so much, he said. The local government did issue a truffle-hunting license “for personal consumption” with a two-kilo annual limit and a tax of five hundred to six hundred euros per kilo. (That’s almost as much as hunters make off sales. Milos was paying eight hundred euros per kilo that season.) Hunters who bothered to carry a license would report their two kilos and then go straight back to the woods to continue to harvest as much as they could. Other hunters skipped the sham paperwork altogether. I asked the Kingpin if he’d ever had one of his truffle shipments confiscated. “For me it’s not a problem to be caught at the border,” he said cheerfully. “Because, with half those people, I can call them on my phone, and they’ll say, ‘Sorry, I didn’t know it was for you.’ That’s how things operate here.” “You have friends in high places,” I said. “Something like that,” said the Kingpin, summoning [a] waiter for a round of quince rakia brandy. “Cheers, my friend,” he said, raising a glass. “A pleasure to meet you."